Perspective: The avocado is the size of my tiny finger. The more I work out in the yard, the more I realize surprising things about the Mama. Avacados were rarely in demand when I was in produce departments. Only when people wanted to make guacamole for big sport games. I like to make us avocado tomato sandwiches. Too bad our avocados will ripen way after tomato season is over. 29 years to grow an avocado … that's an investment! Way to go, Mama! Back then, avocados were probably 3 or 4 for $1. 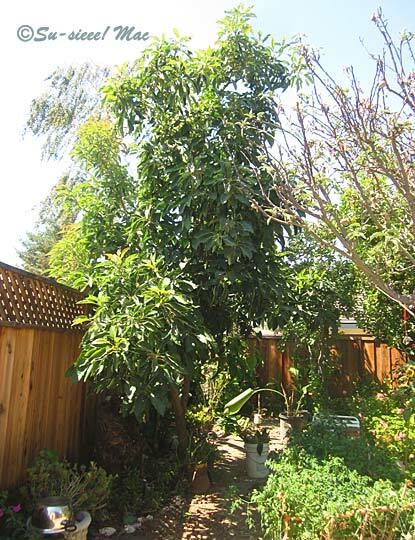 How long does it take for an avocado tree to bear fruit? I'm glad you asked that question, Liz. I wouldn't have been curious enough otherwise. According to the experts, it takes between 5 to 13 years for an avocado tree, starting from a seed, to be mature enough to bear fruit. This one may have taken longer because Mama kept pruning it back drastically every year. 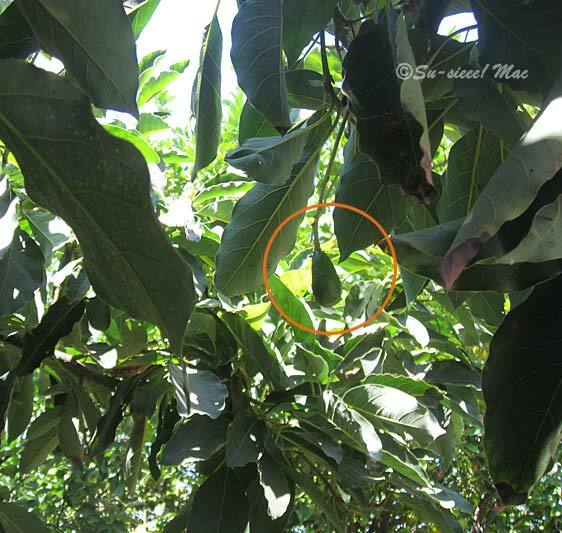 From a sapling, an avocado tree usually bears fruit 3 or 4 years after being planted.